In her book, Wanderlust: A History of Walking, Rebecca Solnit characterizes walking as, ‘a state in which the mind, the body, and the world are aligned, as though they were three characters finally in conversation together, three notes suddenly making a chord’. 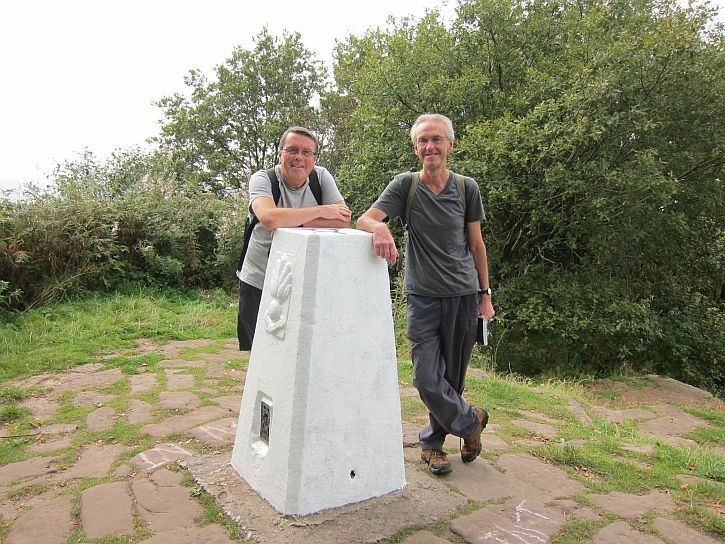 Solnit’s ‘three characters in conversation together’ describes pretty well the walk which saw (more or less) the completion of a project my good friend Bernie and I embarked upon many moons ago – to walk the length of the Sandstone Trail through Cheshire. We were accompanied on this leg of the journey by Tommy, a freshly-retired former work colleague. 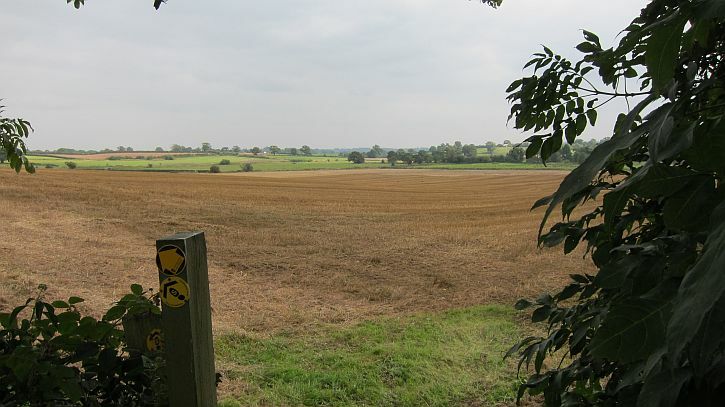 Our aim was to pick up where Bernie and I left off nearly a year ago and walk the final 16 mile hike that begins with most dramatic section of the Trail before it ends with a sigh, winding its way across the fields and meadows of the Cheshire – Shropshire border, then joining the Lllangollen canal for the last lap into Whitchurch. After leaving a car at either end of the hike (rural bus services being virtually extinct in this neck of the woods), we set off from the Pheasant Inn at Higher Buwardsley up Hill Lane, an ancient packhorse route and salters’ way – a short cut over the sandstone ridge linking the Cheshire salt-mining towns of Northwich, Middlewich and Nantwich with the old crossing-points over the Dee to Wales at Farndon and Chester. Salt was a very important commodity at the time, used not only as flavouring but, more crucially in pre-refrigeration times, for the preservation of perishable goods such as meat. 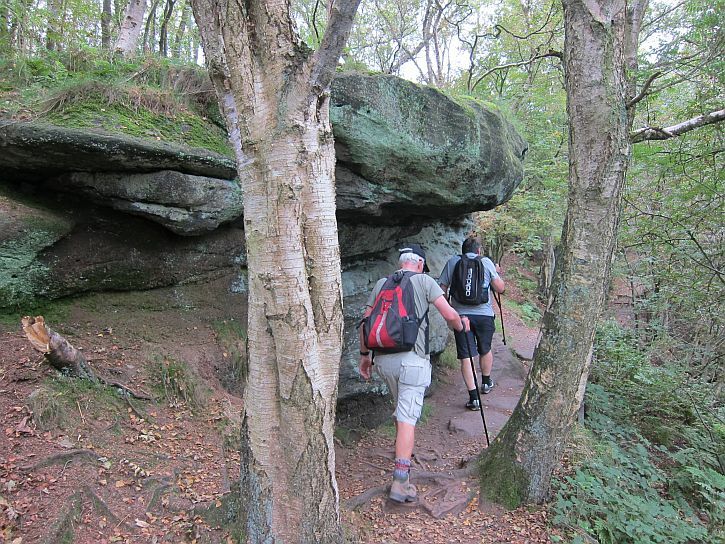 We press on, treading ‘in the footsteps of others’, and soon reach the spine of the sandstone ridge that rises out of the Cheshire plain. Here, at the southern edge of Peckforton Hill, we pass the Lodge, a picturesque sandstone gatehouse belonging to the Peckforton Estate. 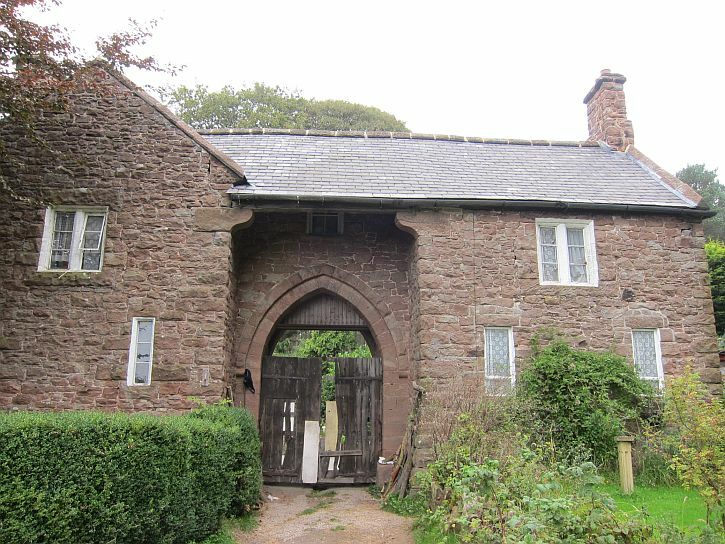 Peckforton Lodge is a reminder of the days when a monied man could buy up an extensive tract of land, with two villages thrown in: both Peckforton and nearby Beeston were part of an estate purchased by John Tollemache, 1st Baron Tollemache, in 1840. Between 1844 and 1850, Lord Tollemache had Peckforton Castle, a Victorian replica of a medieval castle, built from sandstone dug from a ridge-top quarry, now lost among the trees on the Peckforton Hills. 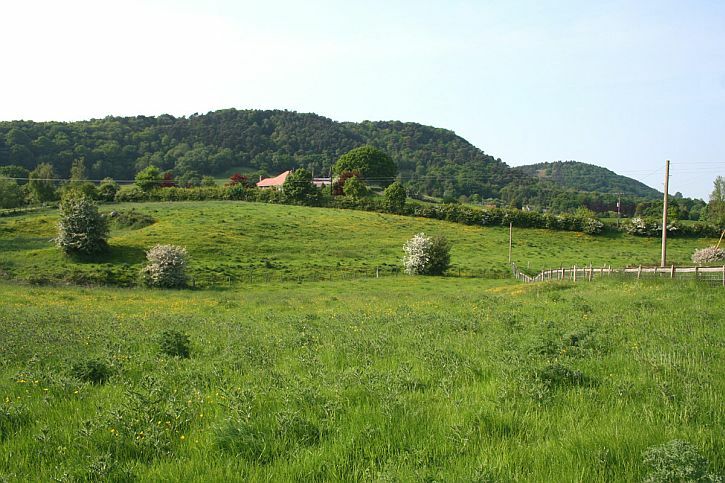 Local quarries exist all along the Trail, where sandstone was cut to provide building stone for houses, farm buildings and walls throughout this part of Cheshire. I feel at home on sandstone. It is the rock that reared up from the Cheshire plain at Alderley Edge, a few miles from where I grew up, and also the familiar bedrock of the place where I have lived these last fifty years: a city rose-red as Petra, Liverpool was founded on a sandstone bluff at the northern end of the ridge of sandstone which ruptures the Cheshire plain, and along which we now walk. 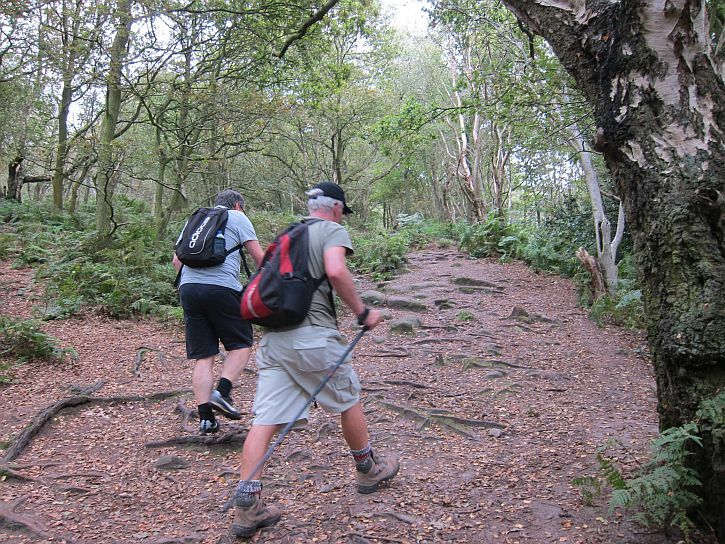 Following the ridge the Trail leads to Bulkeley Hill, where the National Trust maintains a stretch of ancient woodland. 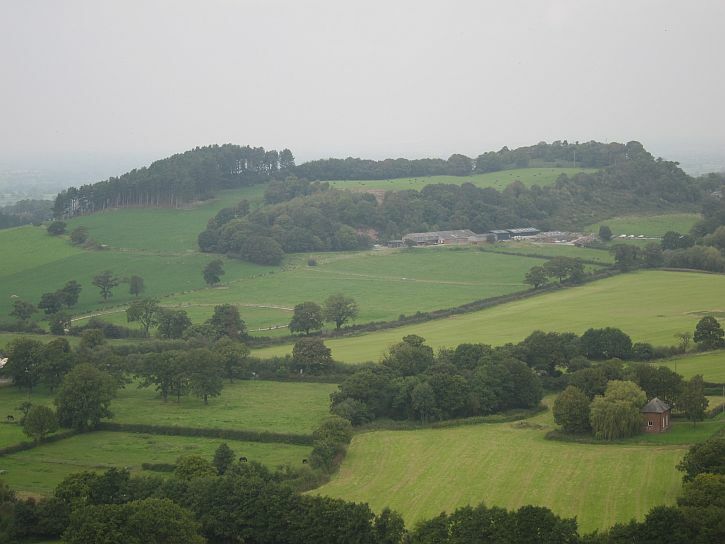 There’s a popular viewpoint, up here on Bulkeley Hill, from which on a clear day it’s possible to look west and see the Welsh hills. But not today. Warm and dry it may be – weather we’ve enjoyed since the beginning of September – but, as luck would have it, today, after two days of azure skies, it’s cloudy and dull, the distant hills shrouded in haze. Walking also led us to ponder the distances walked by individuals before the motor car arrived. I have been re-reading David Copperfield in which Copperfield (like Dickens himself) walks considerable distances as a matter of course. There is, for instance, a period in which, by day, he works as a legal clerk in central London, then walks out to Highgate to assist Doctor Strong with his dictionary project before walking to Putney to spend time with his fiancée, Dora, then back to his home near St Paul’s. On another occasion he walks the 16 miles from Dover to Canterbury, arriving at his destination in time for breakfast. Then there’s the early chapter in Wuthering Heights where Mr Earnshaw walks from Haworth to Liverpool and back – 60 miles each way – staggering into the kitchen at Wuthering Heights at 11 pm on the third day. But, as Rebecca Solnit described in Wanderlust, William Wordsworth beat that with an amazing walk in 1790 when, with fellow-student Robert Jones, he walked across France, over the Alps and into Italy before arriving at Lake Como in Switzerland. They had covered a steady 30 miles a day. Beyond Rawhead the path follows a precipitous course along the edge of sheer sandstone cliffs, before dropping down off the ridge to cross the busy A534 Wrexham-Nantwich road (also known as Salters Lane, so we know what the traffic would mainly have consisted of two to three hundred years ago). 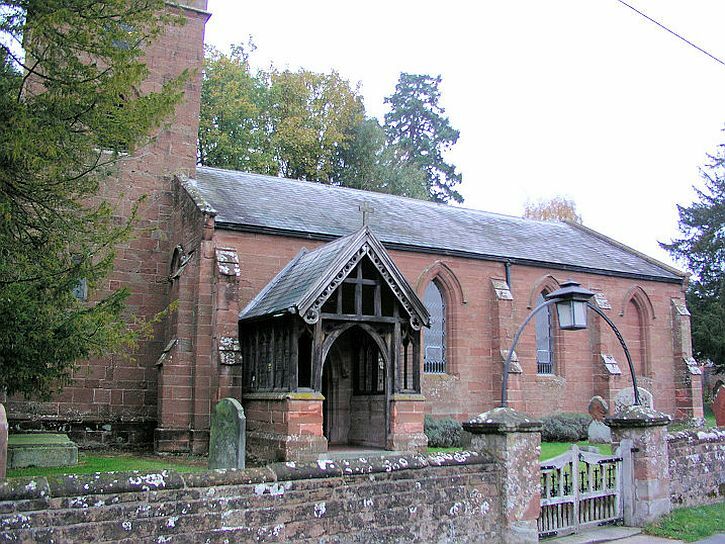 At Bickerton women were decorating the church porch and gateway with astonishingly intricate plaits of white flowers: a wedding, or maybe harvest festival, in preparation, perhaps? It looked like a scene from another time; I wish I’d taken a photo. Past the church we headed up the lane and back onto the ridge. 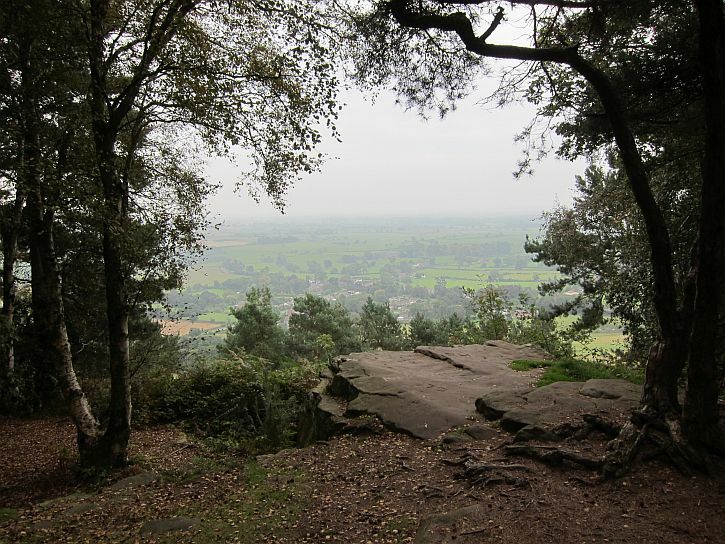 This is Bickerton Hill, owned and managed by the National Trust, a geological SSSI for its exposed Triassic sandstones, and a rich mixture of open woodland and lowland heath. Beneath the scattered birches, purple heather was in bloom, there were bright splashes of yellow gorse, and we tasted jet-black bilberries. 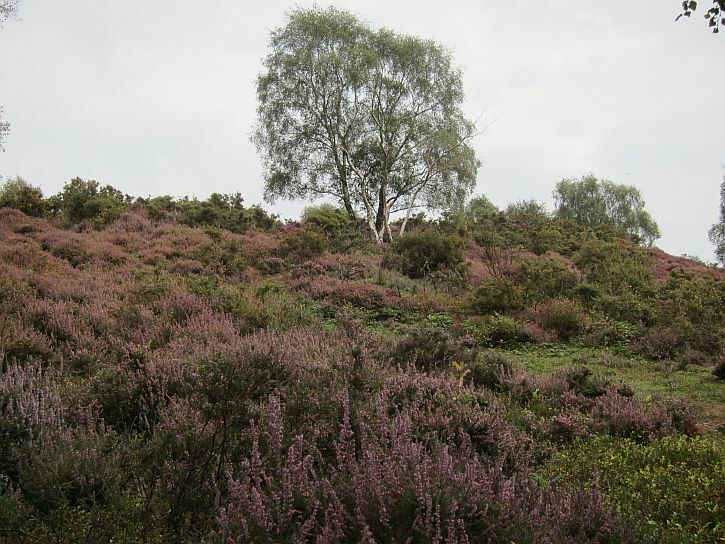 Bickerton Hill is one of few remaining areas of heathland in Cheshire, but it hasn’t always been so: the abandonment of grazing in the 1930s allowed birch, pine and oak to grow, shading out the bilberry and heather that had flourished for centuries. 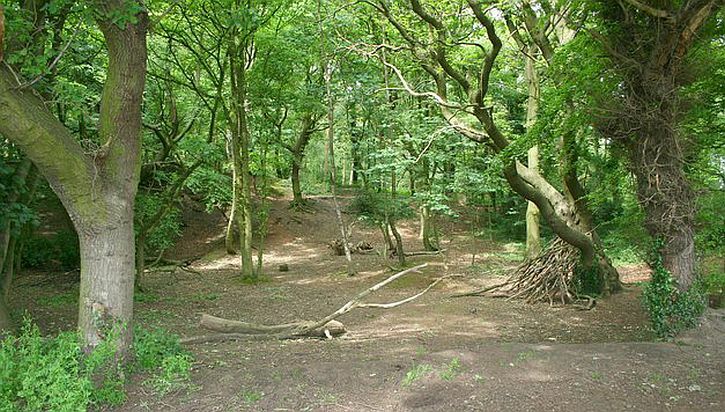 But, for a decade now the National Trust has been working to remove the encroaching trees and restore areas of the hill to heathland. Grazing has been reintroduced to halt the spread of the birch trees which have threatened the rare heathland habitat on the hill. 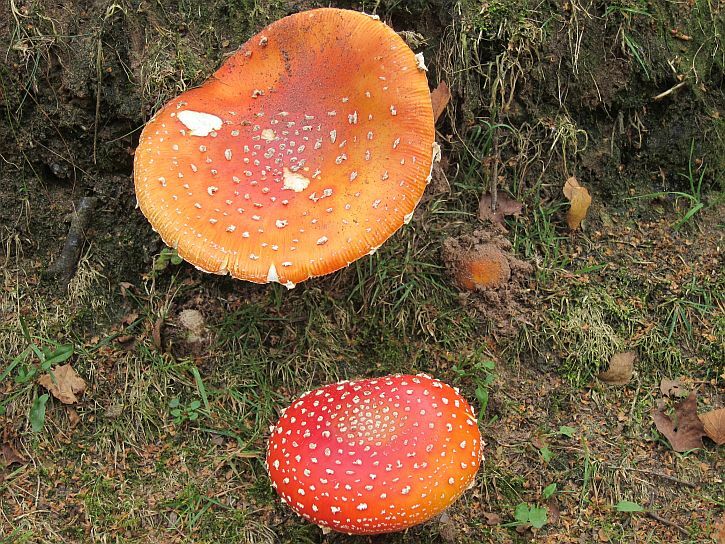 There were toadstools, too – the iconic ones, bright red with white markings, and familiar from childhood story books. Fly Agaric they’re called, apparently a reference to their use as an insecticide, crushed in milk to attract and kill flies. They also have hallucinogenic properties, and there is a long history of their use in religious and shamanistic rituals across northern Europe. 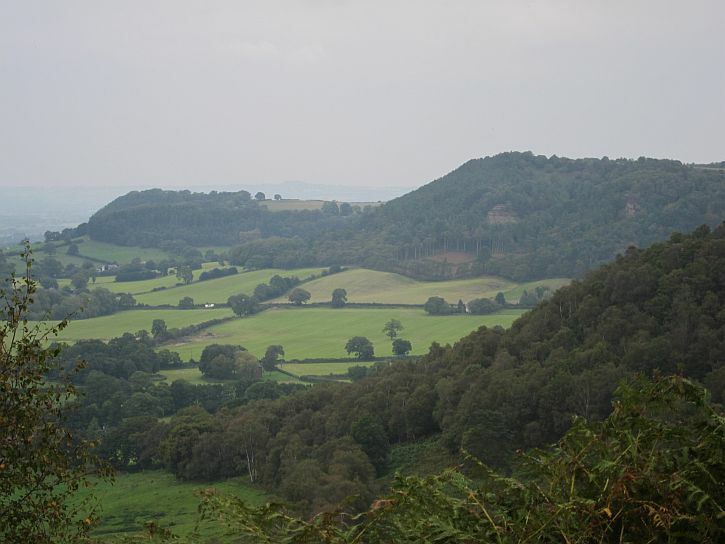 We sit on a log and take in the stunning views across the plain towards the Welsh hills. The haze is lifting a little and some sun breaks through, brightening the scene. 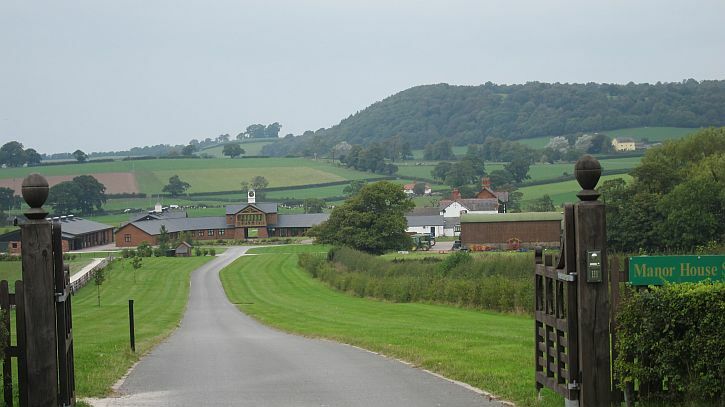 It’s difficult to believe, looking out at the tranquil rural view, that this was once a mining district. 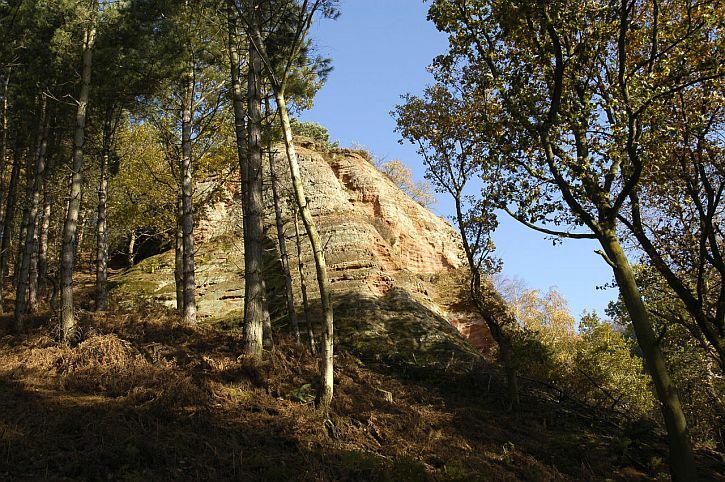 But, as at Alderley Edge, further to the north and a few miles from the village where I grew up, the vein of copper that runs along the sandstone ridge was mined beneath the Bickerton Hills from the 17th century onwards. Nearby is an engine house chimney, all that remains of mine buildings demolished in the 1930s. 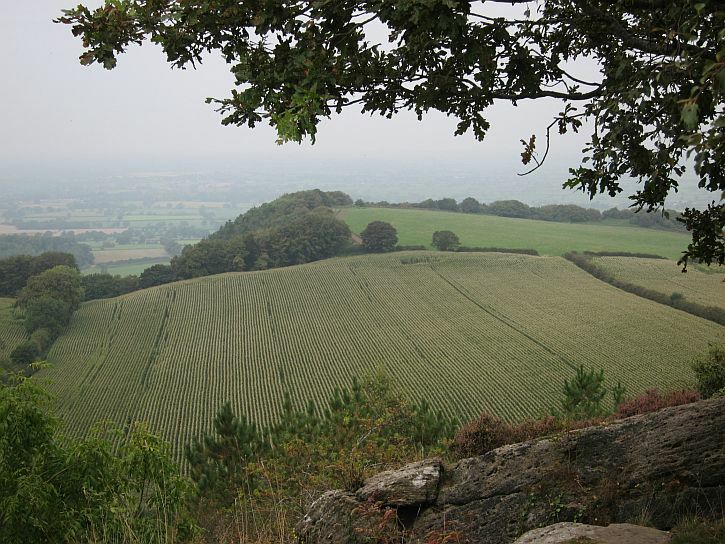 Up here on Bickerton Hill there is older evidence of human intervention in the landscape. The Sandstone Trail crosses the ramparts of Iron Age Maiden Castle, one of a series of six forts on the sandstone ridge – hilltop sites probably first enclosed in the Neolithic, around 6,000 years ago, to mark them out as special places. By the late Bronze and early Iron Age these hilltop enclosures had become increasingly defensive, possibly to protect and regulate important goods such as salt, grain and livestock. Packing away the remnants of our lunch, we press on – past the memorial called Kitty’s Stone; placed at the highest point of the hill, it was placed here by Leslie Wheeldon, the benefactor who helped the National Trust acquire the hilltop heathland, and displays poems written by him in memory of his wife, Kitty. 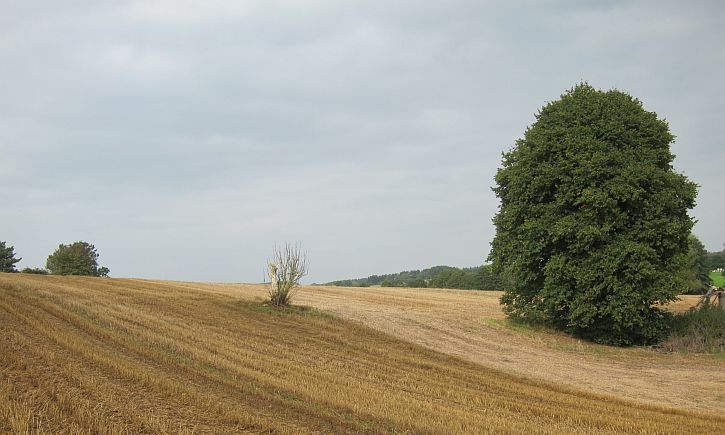 The Trail drops down through Hether Wood to emerge at the end of southern end of the sandstone ridge, close to Larkton Hall Farm. 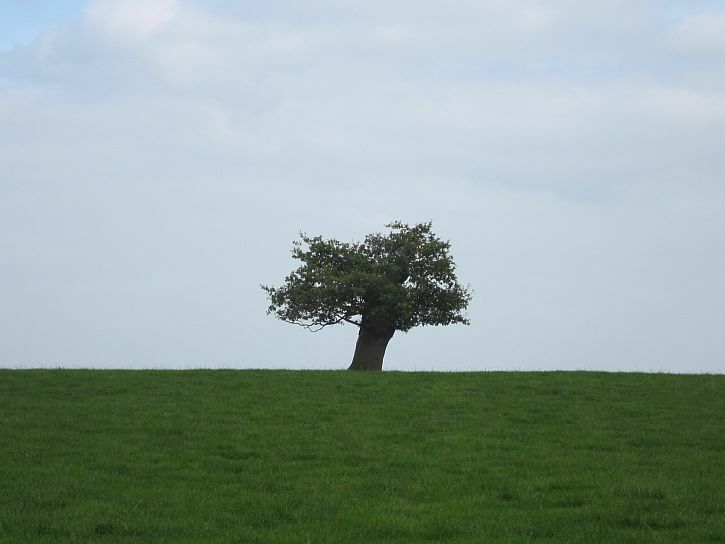 Now we are walking through a classic Cheshire landscape of undulating meadows and hedges, the fields grazed by the black and white cows that seem as much part of the landscape here as the grass and the trees. 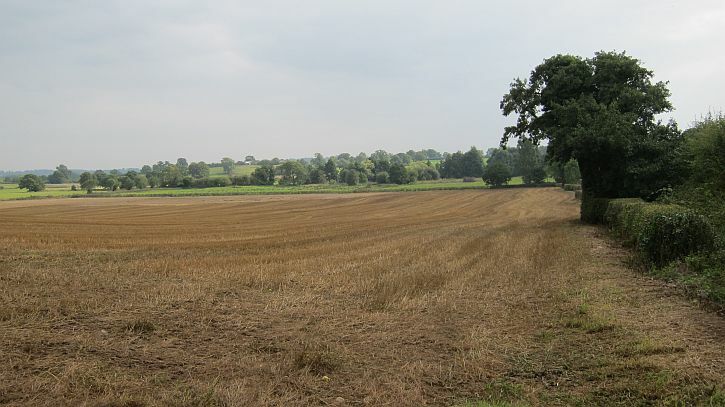 Now the Trail took us through fields, some where maize had been freshly-sown, some golden with the stalks of recently-harvested grain. 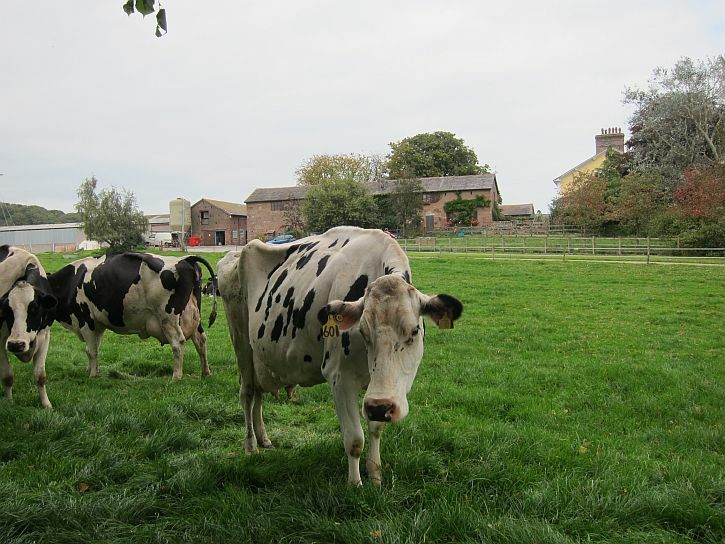 At Bickley Hall Farm, belonging to the Cheshire Wildlife Trust, we encountered a herd of pretty fearsome-looking (but docile) longhorn cows, part of the Trust’s herd of Longhorn and Dexter cattle, and Hebridean and Shropshire sheep. 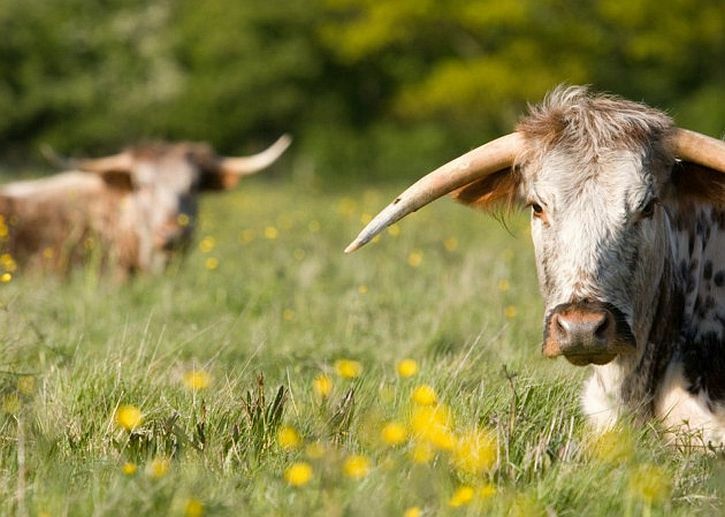 The Longhorns are the Trust’s ‘living lawnmowers’, a natural way of managing wildflower meadows, heathlands and peatbogs for the benefit of wildlife. ‘The traveller that resolutely follows a rough and winding path will sooner reach the end of his journey than he that is always changing his direction, and wastes the hour of daylight in looking for smoother ground and shorter passages.’ That was the view of Samuel Johnson, and he was surely right. 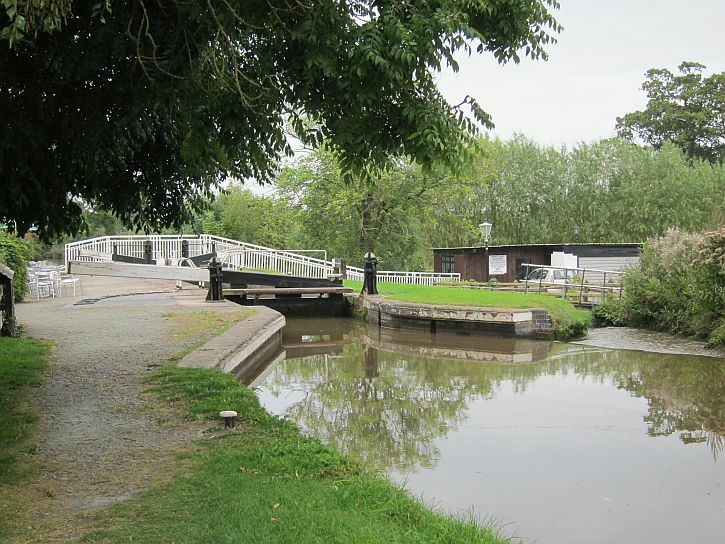 It was late in the afternoon and, as the Trail wound its way across one field after another, at each hedge or stile we hoped to see the long-anticipated Llangollen canal which would signify the final leg of our journey. 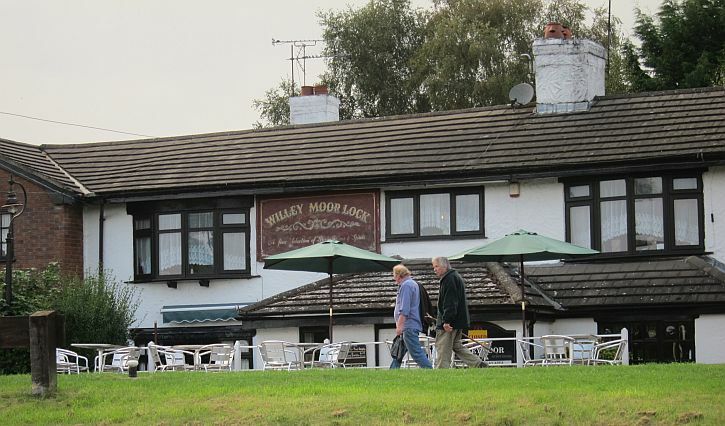 Then, over a stile and long a hedged path, suddenly we were there on the canal side, at Willeymoor Lock, one of those greatly-anticipated stages of a canal journey where a pub invites a pause. Certainly, for several miles now, what I had been imagining was a significant pause at the waterside with a pint of good beer. But the pub was closed – it would open again at 6pm. Taking advantage of the outside seating, we nevertheless sat and rested our feet. 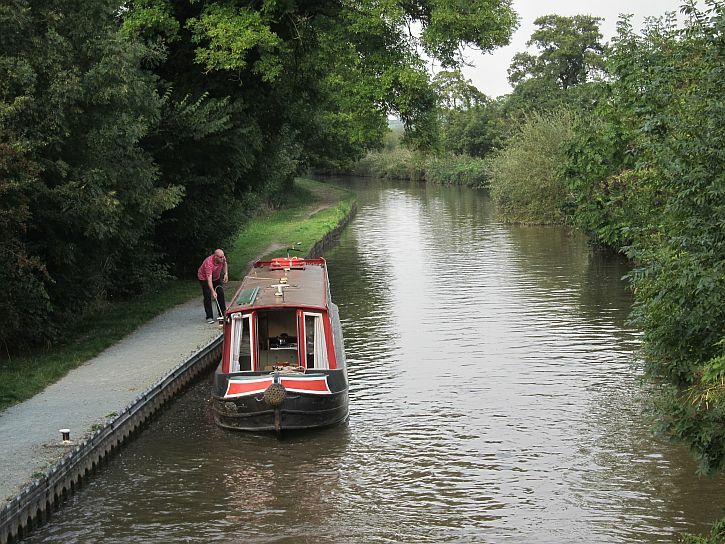 This is the Llangollen canal, a branch of the Shropshire Union, that runs for 46 miles between Hurleston on the SU and the river Dee above Llangollen. As we sat, the pub landlady appeared and explained in a matter of fact manner that she had run the pub for more than thirty years and felt entitled to a break in the afternoons. 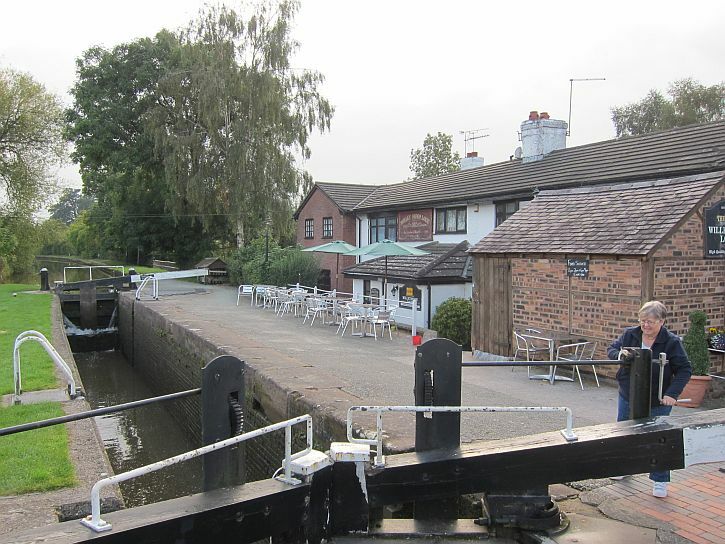 We fell into conversation, and she explained that for several years after taking over the pub she had been unable to cross to the far side of the canal via the lock gates, suffering from a degree of vertigo even more serious than mine. So she had her own bridge built, offering easy access to the far bank and the A49. But then she discovered that British Waterways was entitled to make an annual charge for the convenience! By this stage we had realised that we couldn’t walk the last threee miles into Whitchurch since one of our party had acquired fairly painful blisters. While we waited for a taxi, a barge appeared, navigated by a couple, and we watched (the way you do) as the Canadian half of the crew manipulated the key that opened the lock gates while her partner steered the craft into the lock. Then it was a brief taxi ride back to our waiting car in Whitchurch, and a surprisingly lengthy drive (had we really walked all that way?) back to our staring point, the Pheasant Inn at Buwardsley. Now, sitting on the pub’s terrace looking out across the Cheshire plain as the clouds lifted sun finally broke through, I was able to savour an excellent local beer – a pint of Weetwood’s Best Bitter, brewed not far away in Tarporley. 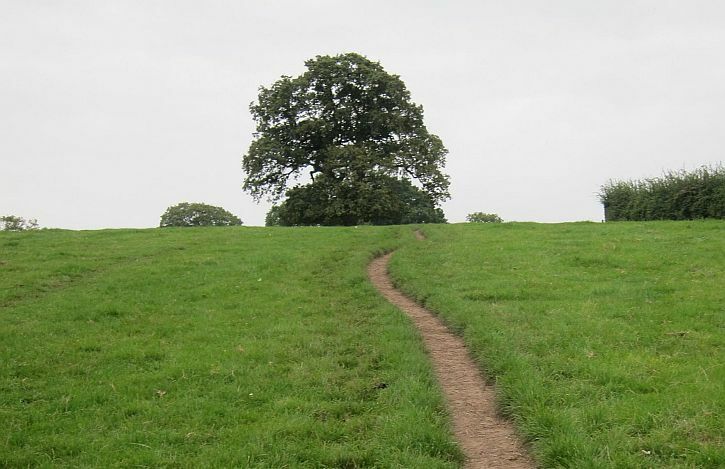 In the middle of the 17th Century, there walked the muddy lanes of Herefordshire and the cobbled streets of London, a man who had found the secret of happiness. He lived through a period of bitterest, most brutal warfare and a period of corrupt and disillusioned peace. He saw the war and the peace at close quarters. He suffered as only the sensitive can. He did not win his felicity easily. Like the merchantman seeking goodly pearls or the seeker for hidden treasure in a field, he paid the full price. But he achieved his pearl, his treasure. He became one of the most radiantly, most infectiously happy mortals this earth has known.